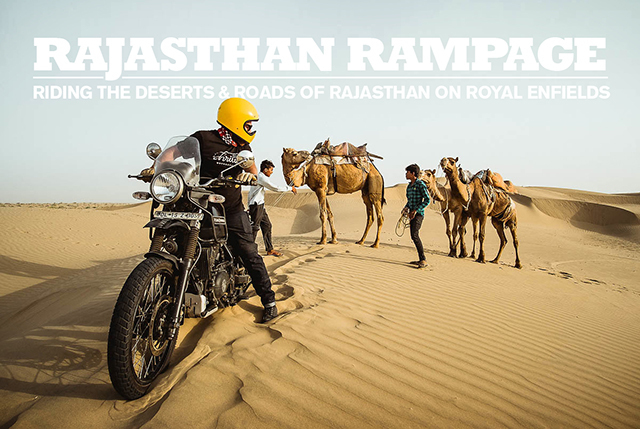 It’s not everyday you receive an email asking if you’d be interested in going to India to ride Royal Enfields across the Rajasthan desert with a film crew and a professional photographer. That’s exactly what happened at the end of last year: I received an email from a guy called Matt from Nevermind Adventures. He runs organized motorcycle adventure tours all over India. Only a fool would think about it for just a second. I thought about it for two, and replied: ‘When do we leave?’.